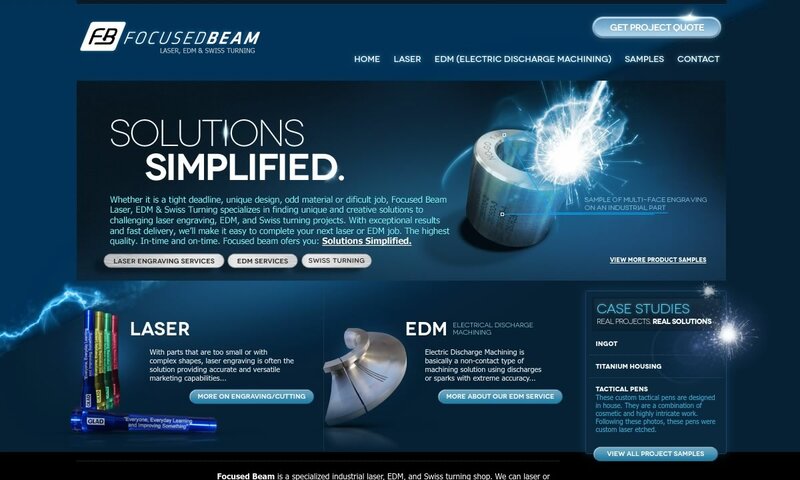 A reliable source for EDM information and a resource for accessing leading EDM and suppliers. Electrical discharge machining, or EDM for short, is a highly accurate machining process during which sparks, or electrical discharges, shape a workpiece by removing material. EDM has a myriad of applications in the worlds of aerospace, automotive, defense, extrusion, electronics, food and beverage, medicine, and stamping. Within these industries, it is popular for use in applications that require the creation of intricate details or complex geometries, like mold making. Electrical Discharge Machining Electrical discharge machining, or EDM for short, is a highly accurate machining process during which sparks, or electrical discharges, shape a workpiece by removing material. 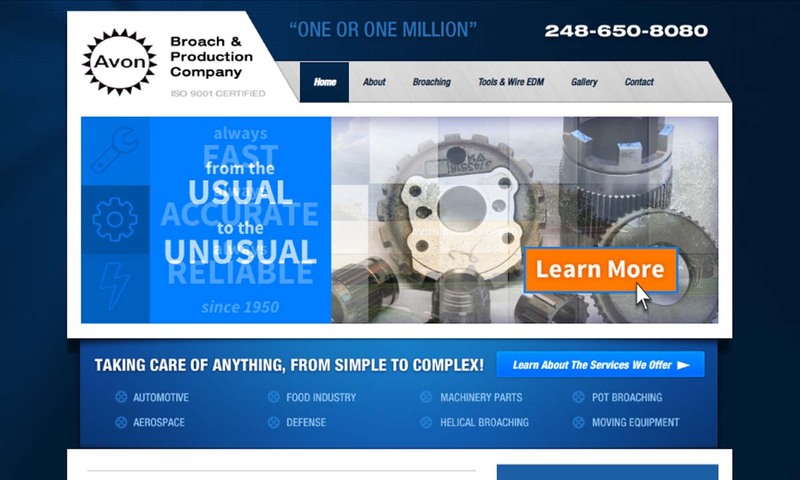 Avon Broach and Production specializes in EDM, small hole EDM, high speed EDM and wire EDM services. Avon B&P has an innovative engineering department, skilled toolmakers and dedicated machinists to help serve your EDM needs. With over 75 years of experience, Applegate EDM has been looking for new ways to bring its customers innovative, high quality products and wire EDM services. Focused Beam is a marking shop filled to the brim with experience the industrial engraving applications you need. Our in-house electrical discharge machining services include general, wire, and sinker EDM. 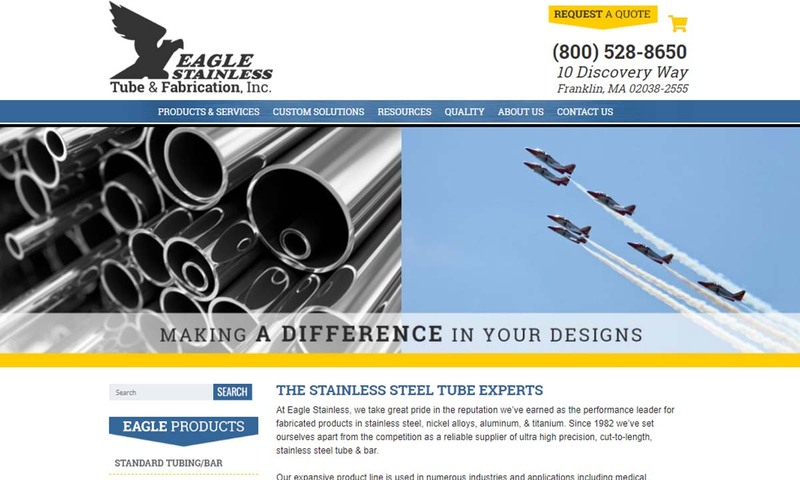 A performance leader in fabricated stainless steel, nickel, aluminum & titanium products. Eagle offers customers the advantages of wire electrical discharge machining (EDM) & laser machining for parts, components & assemblies. 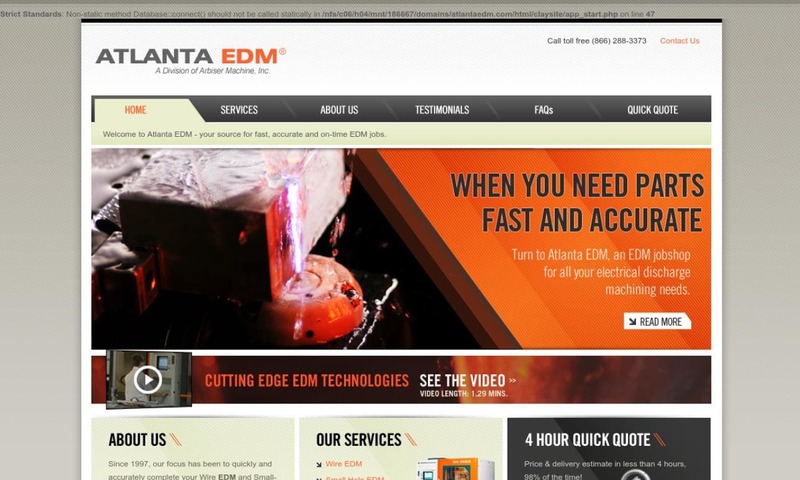 Atlanta EDM is an EDM job shop that specializes in prototype and production electrical discharge machining. Cutting edge EDM technologies in EDM wire and EDM small hole drilling (hole popping). Using electrical discharge machining, manufacturers produce molds, tools, and dies for the forming, casting, and forging of products and parts like plastic molds, compressor blades, various engine parts, jewelry, badges, coinage, plastic mold production, compressor blade production, and the production of other engine parts. With EDM, manufacturers also make prototypes and sample parts for customers in auto, aerospace, and electronics. In 1770, Joseph Priestley discovered that one can create erosion using electrical discharge. We now know this effect as electro-discharge erosion. Nearly 200 years after Priestley’s observation, a pair of Soviet researchers took the first steps towards developing modern EDM machining technology. The scientists, named N.I. Lazarenko and B.R. Butinzky, respectively, while doing other research, discovered that they could control sparking-induced erosion of tungsten electrical contacts by immersing electrodes in dielectric fluid. (Electrodes are conductive materials through which electricity may pass.) Spurred on by this discovery, the scientists decided to create a machine that used electrodes and dielectric fluid to help them work with tungsten and other challenging materials. They named their machine the resistor-capacitor circuit (RC circuit) type machine, or R-C-type machine for short. RC circuits charge electrodes. Meanwhile, around the same time in the United States, a team of American scientists created another EDM machine that worked with electrodes. They used their technology to pull broken taps and broken drills from aluminum castings. Using machines featuring electrodes, strong sparking units, automatic spark repetition, an electromagnetic interrupter arrangement, and fluid replacement, they found success. Their first successful machines could generate up to 60 sparks per second. Years later, other scientists improved upon their design by swapping in vacuum tube circuits. With these, their EDM machines could produce thousands of sparks per second and produce die-cuts at a breathtaking speed. During the 1960s, engineers in the United States and the Soviet Union raced to be the first to develop wire cut EDM machinery. Wire cut EDM machines use a wire as a tool electrode. 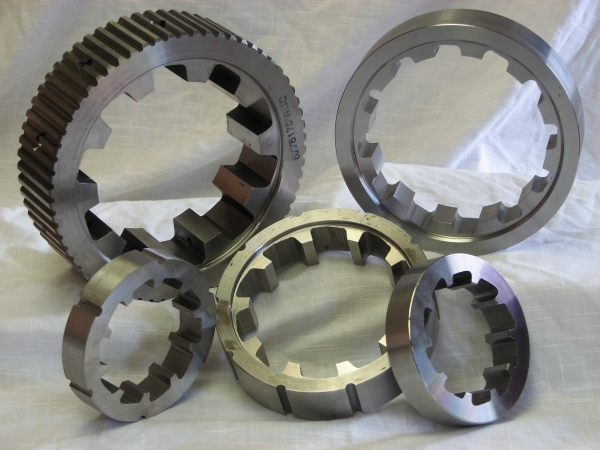 Engineers wanted to use EDM wire cut machinery to create hardened steel die tools. In 1967, the Soviets came out with the first commercially viable numerically controlled (NC) wire cut EDM machine. Numerical control was the predecessor of computer numerical control. In 1974, an American group captained by David H. Dulebohn developed the first wire cut EDM machine that used CNC technology to plot lines. Two years later, Dulebohn improved upon the CN wire cut EDM machine with the first CNC controlled wire-cut EDM machine. During the ‘70s, engineers and scientists began trying to figure out just how and why electrical discharge machining works. One of the first to take a stab at it was Frans Van Dijck, who in 1973 wrote a PhD thesis that used math to explain it. By Van Dijck’s own admission, though, a lot of his work was built on assumptions, not empirical evidence. In 1989, students at Texas A&M University continued the study. They put forth the claim, with a fair amount of evidence to back it, that EDM works via thermal processing. No one has yet come forth with a claim backed by enough evidence for us to say with certainty why EDM works. Nevertheless, today, electrical discharge machining has improved by leaps and bounds. With it, manufacturers are now able to create highly accurate cuts, intricate surface markings, and finishes on all sorts of materials. They are also able to do so at rates of which early EDM developers could have only dreamed. EDM manufacturers are also actively working to stop the easy erosion of graphite electrodes. The industry is and will continue to be important, as intricate designs and cuts on metals are a necessity to successful electronics. Electrical discharge machining uses electrical energy to etch, drill, machine, and cut metal parts. It also frequently employs CNC EDM machines to carefully manage the process, allowing for incredibly precise results on both extremely delicate or breakable materials and hard metal materials that do not respond well to other machining processes (e.g. hardened steel, titanium alloys, and nickel-based superalloys). Manufacturers have at their disposal a variety of types of EDM machining. However, all processes follow a general pattern, which we will go over here. 1. To start, manufacturers immerse the EDM tool and the workpiece in a water-based dielectric fluid bath. The bath helps by conducting electricity between the work piece and the EDM tool (more quickly wearing away unwanted material), flushing away debris, and preventing premature sparking. 2. Once immersed, using electrical discharges, the EDM tool establishes a conductive path or arc between itself and the workpiece, generating an intense electric field between them. This generated electrical field then erodes the surface of the work piece in a predetermined pattern or shape. This is why EDM is also sometimes called spark eroding, spark machining, or die sinking. EDM machines can cut through most any material, metal, or otherwise. Examples of materials they work with include aluminum, bronze, cobalt, copper, gold, lead, nickel, silicon, stainless steel, titanium, and tungsten. When deciding on what tool or tools are best for their application, manufacturers consider variables such as the intended shape and size of the end product, and the work piece material (which must match with the electrode material or tool material/design in order to work properly). EDM tools generally consist of an electrode, wire or shaped tool, and a power source to which it is connected. This power supply helps it create electrical discharge, or sparks, which can produce high heat anywhere between eight and twenty thousand degrees. 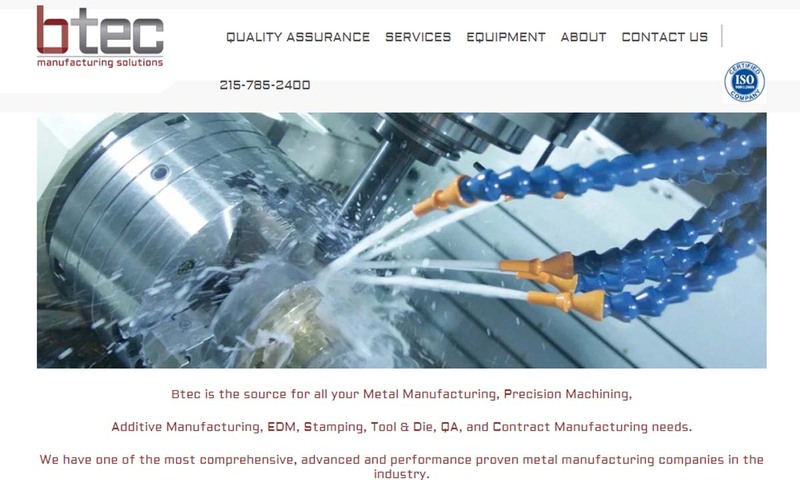 No matter the EDM process or tool, most electrical discharge machining equipment is guided, controlled, or monitored by CNC machines or CAM/CAD software. Some of the many methods that manufacturers may use to complete EDM machining include conventional EDM (sinker EDM), wire EDM, small hole EDM, fast hole drilling EDM, and micro EDM. Conventional EDM, also known as ram EDM, sinker EDM, or plunge EDM, is the oldest and of one of the two most widely used forms of electrical discharge machining. Sinker EDM is the best process to employ for the creation of complex geometries. The sinker EDM method uses an electrode. The electrode is most often made out of machined graphite, though it may also be copper. The electrode plunges, or sinks, into metal to create complex 3D shapes, holes, and patterns. Wire EDM, sometimes called wire erosion, is the other main type of electrical discharge machining. The wire EDM process, which can be quite efficient, works well for cutting shapes into both selected parts and entire assemblies. Wire EDM can also create recast layers. Instead of using an electrode, wire EDM uses a wire to transmit sparks to the work piece. This wire, which is made of a conductive material like brass, is fed from a spool through the work piece and then clamped on both ends by CNC-controlled diamond guides. To create shapes and patterns, the wire cuts through the metal in a pattern. The pattern that the wire cuts is based on the movement of the arms of the CNC-operated guides. In order for wire EDM machining to take place, manufacturers must first put the part being cut most through the next process, small hole EDM. Small hole EDM is a method of EDM drilling that creates holes and perforations. Manufacturers use it before wire EDM to create a hole through which the wire can be fed. In this way, it acts as an alternative to pre-drilling. Most often, manufacturers use small hole EDM to pass wire through parts and products like jet engines, turbine blades, spinnerets (tools designed to help with the extrusion of polymers into synthetic fibers), and fuel system parts. Fast hole drilling EDM is a type of EDM machining that technicians use to quickly create small, deep holes in a workpiece. Usually, they can cut an inch-deep accurate hole in about one minute. Fast hole drilling EDM works using a rotating tube electrode that sprays a high pressure dielectric fluid jet. It is popular in drilling applications related to aerospace and energy. Micro EDM is a process that treats extreme precision parts. Also known as μ EDM (μ is the symbol for microns), micro EDM creates erosions in nanoscale dimensions, and supplies a way to cut and tool parts that could not otherwise receive accurate treatment. Micro EDM processes work well for sensitive medical tools, optical tools, apertures, and the like. Electrical discharge machining supplies a wide variety of advantages to both manufacturers and customers. First, electrical discharge machining creates products and parts with highly accurate markings, angles, cuts, etc. Second, EDM machines can machine even the smallest parts or smallest lines. The complex shapes that manufacturers can make with EDM tooling would be difficult or impossible with traditional tooling. In addition, all EDM machines can accurately cut even the hardest of metals without preheating them. The removal of this step in the machining process saves manufacturers both time and money. Unlike many other machining methods, EDM does not use impact or abrasion to achieve its goals. In fact, the EDM tool never makes physical contact with the part being machined. This is a significant advantage. Because the EDM tool never makes physical contact with the part being machined, that part is not deformed, nor does it sustain heat damage or imperfections like burrs. Likewise, with EDM, manufacturers can machine excellent surface finish qualities the first time around. Before commissioning a company for electrical discharge machining services, you need to do your research. Because EDM creates such delicate and complex cuts and lines, you want to make sure the service provider making these cuts and lines is up to the task. You also want to make sure they have the right EDM equipment, adequate certification, and a solid track record to back them up. The EDM market is flooded with service provider listings on the internet. Some are good, and some are not. To narrow down the field of candidates for you, and to make sure you end up with a high-quality service provider, we’ve put together a list of several EDM companies and contract manufacturers we trust. You will find that list, complete with links and profiles, in the middle of this page. We believe the best way to approach them is with your specifications in hand.  Write out your specifications before you begin browsing, so that you can quickly make informed decisions concerning which manufacturers will or will not work well for you. Based on the services they offer, pick out three or four EDM suppliers to which you would like to speak, and reach out to them. Go over your application at length with each of them, then compare and contrast what they’ve offered. Decide which company is right for you and get started.